Congratulations to my crafty friend Shanika of Life is Pichey for winning last week’s giveaway of 6 Cookies by Cat! I assure you this was purely coincidental – Rafflecopter holds me to random winners and it just so happens that my friend Shanika is quite clever at following all of the options for entry (be sure to follow as many of the prompts as possible when entering for extra entries!). 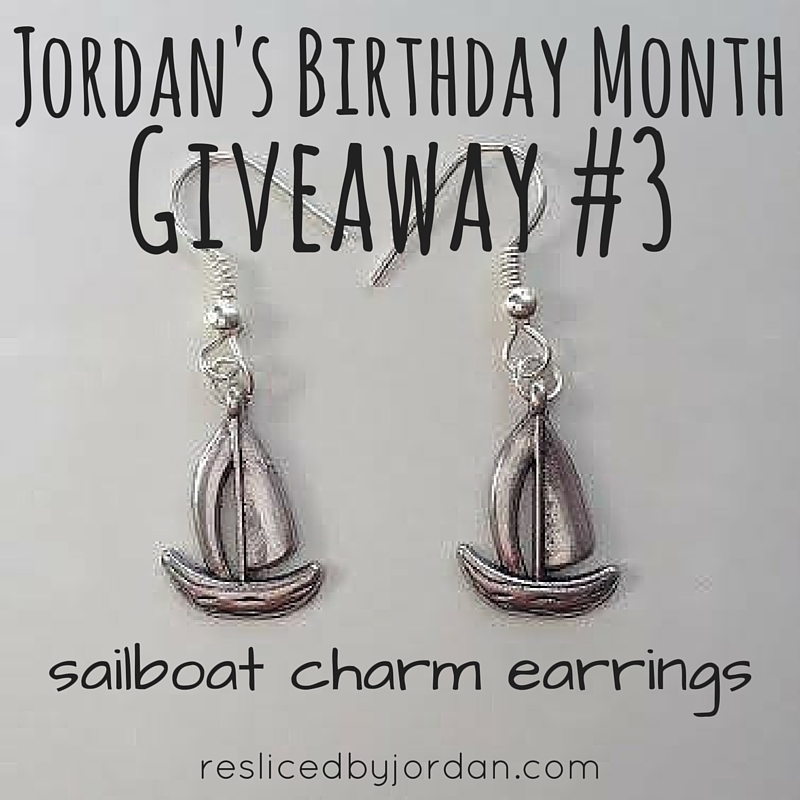 This week I’ll be giving away 1 pair of silver plated sailboat charm earrings! These earrings are handmade by me, but they are possibly the easiest handmade jewelry I’ve ever made! If you’ve got hands that can clamp plyers, you can absolutely make these! All you need are dangle earring posts (these can be found at Michael’s or any arts & craft store), a charm of your choosing (you can find charms in your local craft store or on Etsy – here are some sailboat charms similar to mine) and matching jump rings (these can also be found in your local craft store or on Etsy). Just bend the jump rings slightly to open them and hook the charm to the post. (Make sure that the charms are facing outward when hooked to the ear.) That’s all – isn’t that so easy?! My sister and I originally ordered these charms to make gifts for her to give to her besties on her wedding day (I was the only “bridesmaid,” but her circle of best friends worked just as hard to make her day special and we wanted to make sure they knew we appreciated it!). I made them necklaces – like this one (PS: This necklace is still up for auction – proceeds benefit the Seven Oaks Elementary families who have been affected by the recent flood – read more here. So if you want one of your own, bid on it by commenting on the picture on Facebook!) – and used the leftover charms for simple earrings. Super easy handmade gift! 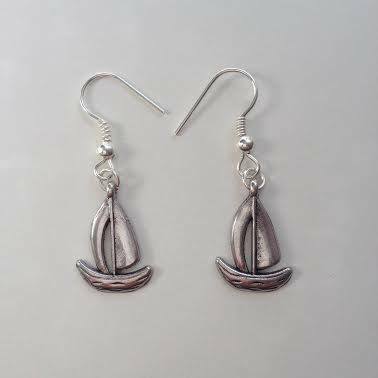 One lucky winner will receive 1 pair of silver plated sailboat earrings made by me! This giveaway will be open until midnight on Sunday, October 25, 2015. Because the earrings will be shipped to the winner, you will be required to leave your mailing address when entering the giveaway. Your address will only be used for prize mailing purposes. In addition, your email address is also required – I will contact the winner via email and will also provide a tracking number for the package via email. Please read this post for more information about my birthday month giveaways. My first paracord bracelet was easier to make than I thought it was going to be. Neat! I love when you finish a project that’s easier than it seemed! So gratifying.